The fast and flowing track laid out in the Papp Laszlo Sportarena, although short, proved to be a serious test for all competitors. Coming into the event second and third respectively in the series standings, Cody Webb and Taddy Blazusiak knew they would have to fight hard to claw back valuable championship points. 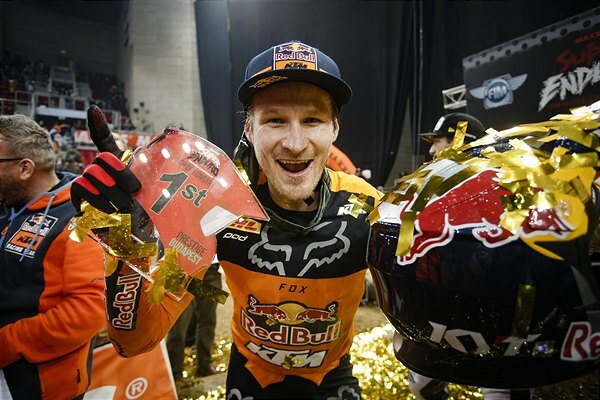 Visiting Hungary for the first time, the three-race SuperEnduro event produced some exceptionally close racing with the KTM teammates ultimately taking the top two podium positions. Superpole went to Webb, with Blazusiak finishing a close second – the results giving the riders their choice of gate-pick for race one. From pole, Webb took the lead into the first corner and set about opening up a good margin over the chasing riders. Although pressured early on by his teammate, Cody went on to claim a flag-to-flag victory with Blazusiak fighting off the challenges from Colton Haaker to finish second. In the reverse-grid race two, it was Blazusiak who got the best start of the two KTM riders. Moving into second after only a couple of laps, the six-time world champion then faced lapped traffic and was unable to challenge the leader, placing second at the flag. Webb, after getting caught up off the line, rounded the first turn in last place. After his tough start, Cody also had to fight his way through the pack and eventually finished third. 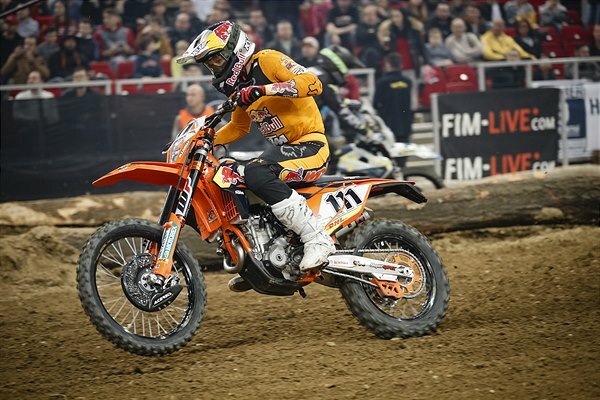 In the final race, it was Blazusiak who took the holeshot with Webb close behind in third. For the first half of the race the three leading riders pushed hard, maintaining a fast pace on the demanding course. With the layout of the track making overtaking extremely tricky, and with lapped traffic once again adding to the situation, Taddy managed to hold his nerve and his lead, to ultimately take the race three win and with it the overall victory. Despite fighting hard and challenging second-placed Haaker at every chance he got, Webb was unable to make a pass stick and had to settle for third in race three. The result edged him ahead of his American compatriot in the event classification and took him to within just 12 points of the championship lead with one round remaining. 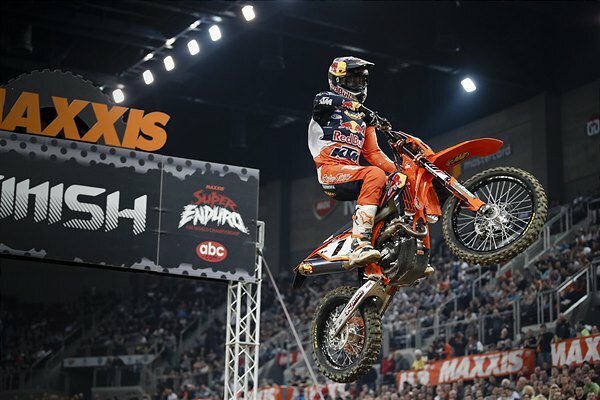 The 2019 FIM SuperEnduro World Championship continues with round five in Bilbao, Spain on April 6, 2019.